Accidents are part of life. 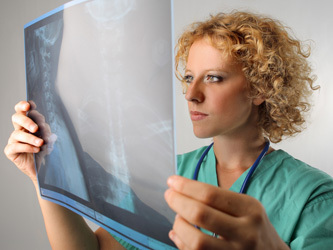 At Lakeside Orthopedic Institute Inc, our goal is to expertly care for trauma patients with the highest quality care. To that end, our complete trauma program assists patients with complex fractures or multiple injuries. We utilize minimally invasive surgery, bone graft substitutes, bone-fusing protein and the most advanced surgical techniques to restore the highest possible level of function. If your knee or hip is severely damaged by arthritis or injury, and non-surgical treatments are no longer helpful, arthroplasty is the most likely option. Arthroplasty is surgical reconstruction or replacement of a malformed or degenerated joint. At Lakeside Orthopedic Institute Inc, we specialize in orthopedic surgery for those who require total or partial knee and hip replacements, as well as shoulder and elbow replacement surgeries. The two most common procedures are the total knee arthroplasty and the total hip arthroplasty. Less common, but just as successful in relieving joint pain, is total shoulder arthroplasty. This procedure may be recommended if arthritis or degenerative joint disease makes your shoulder stiff and painful or if the upper arm bone is fractured so badly that tissue death may result. Knee replacement, hip replacement and shoulder arthroplasty are highly technical procedures that should be performed by an experienced orthopedic surgeon. Lakeside Orthopedic Institute Inc orthopedic surgeons review your case carefully before recommending arthroplasty for you.